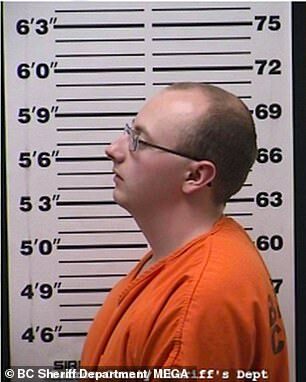 Jayme Closs cowered in the bathroom with her mother as Jake Patterson shot her father in the head and then watched in horror as he did the same to her mother minutes after kicking in the flimsy door. 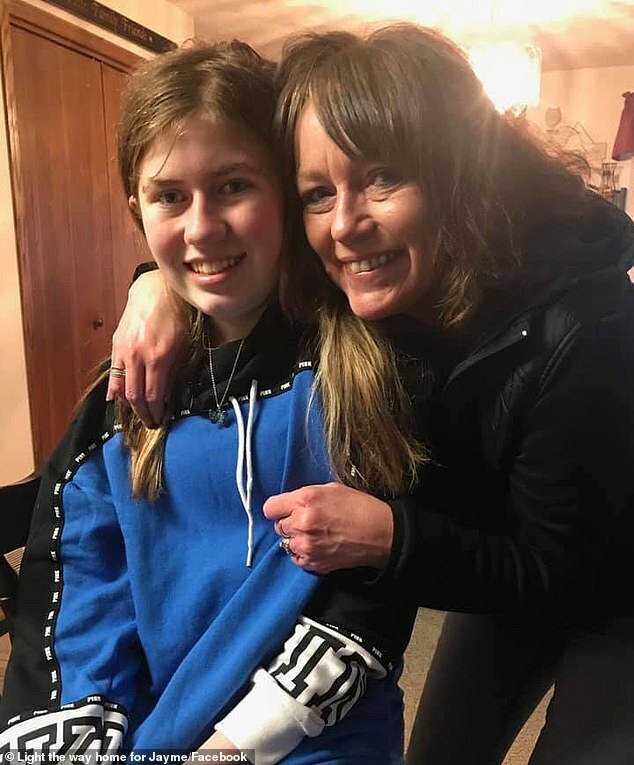 Dressed in black from head to toe including a face mask, hat and gloves, Patterson grabbed the terrified teenager, taped her hands and ankles together, covered her mouth with tape and dragged her out of her home to his waiting car. 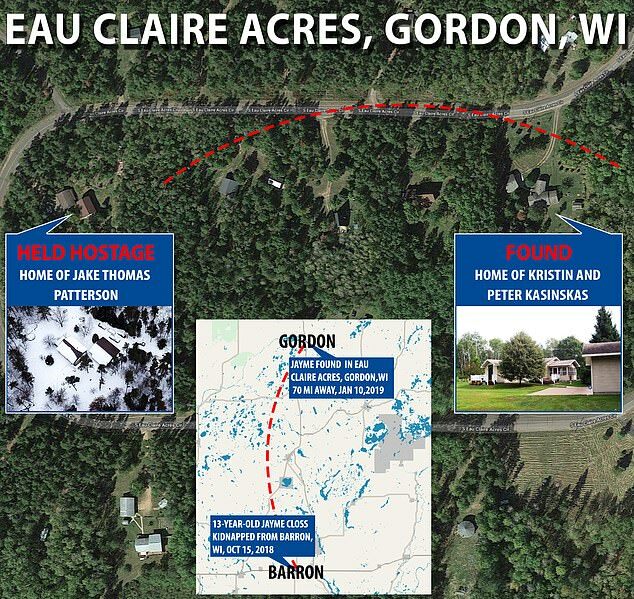 According to Jayme, her abductor then bundled her into the trunk and drove her approximately two hours to the cabin where he would hold her for the next three months. 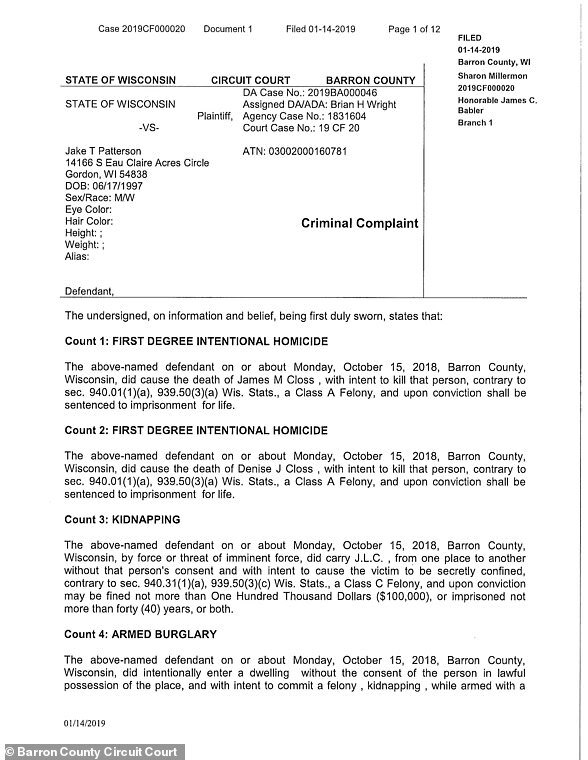 The horrifying details of the Closs murders and Jayme's abduction have emerged for the first time in the criminal complaint filed today ahead of Patterson's first court appearance in Barron County Circuit Court. 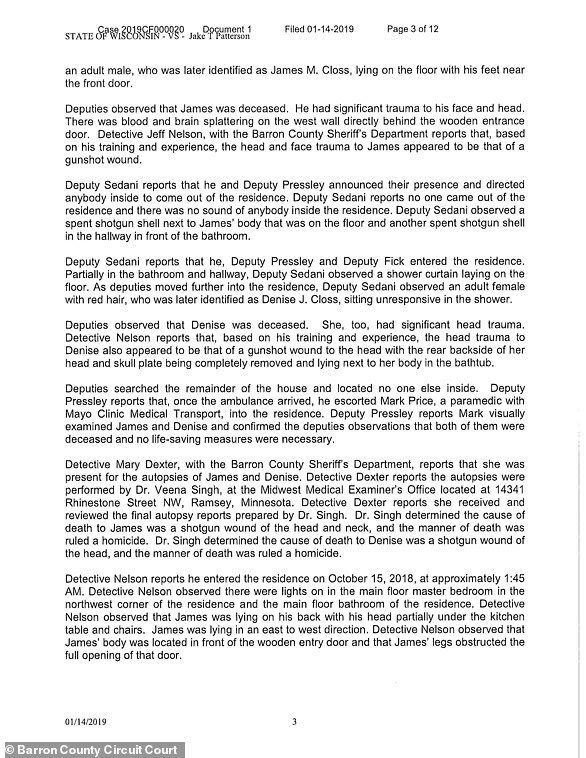 According to Jayme's account, Patterson took her into the cabin, removed the tape from her mouth, hands and ankles and told her to go into the bathroom and remove all her clothes. 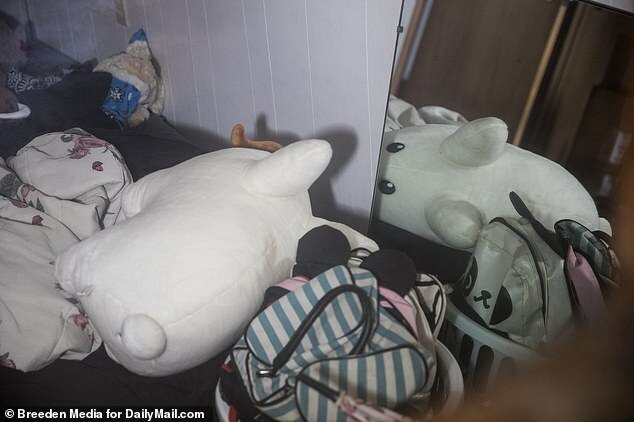 He made her hide under his bed in one corner of his bedroom and stacked totes and laundry bins around the bed with weights stacked against them so she could not move them. 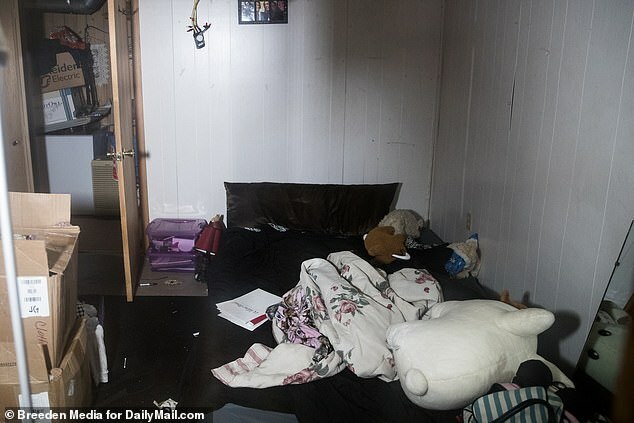 On one occasion, according to the documents seen by DailyMail.com, Jayme stated that Patterson got mad and 'hit her really hard on the back with the handle of something he used to clean blinds.' She could not remember what had angered him. Her escape came when he left the cabin and she managed to push the weights away and flee. 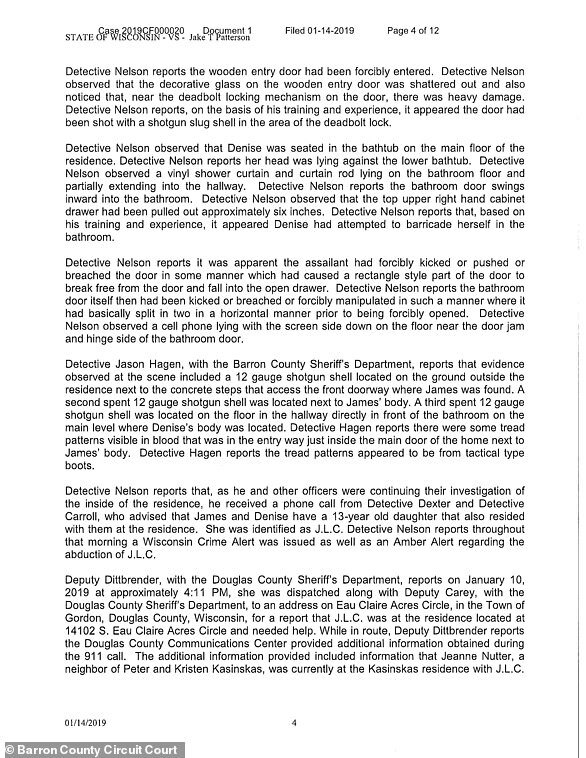 Patterson has been charged with two counts of first degree homicide, kidnapping and armed burglary. 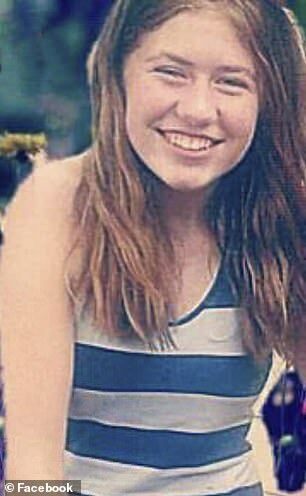 Patterson confessed to cops that he decided that Jayme was 'the girl he was going to take' after a chance sighting of her getting on the school bus when it stopped in front of him as he drove to work. 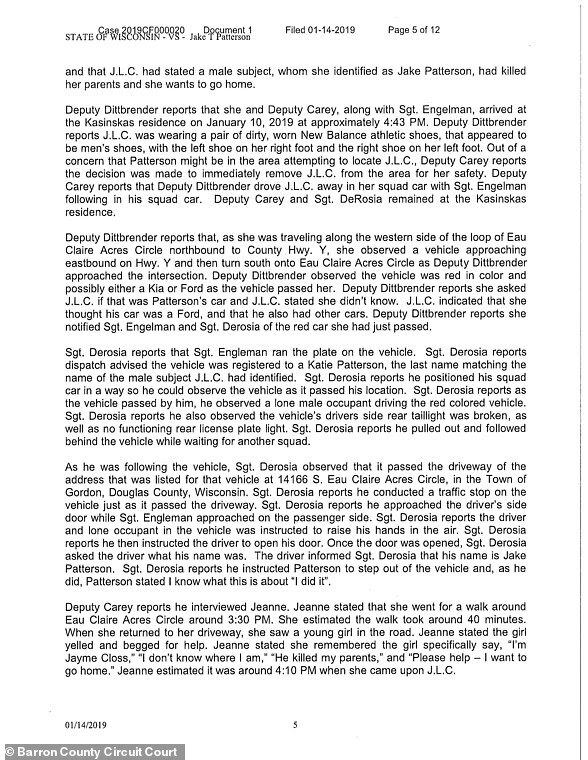 According to Patterson he 'had no idea who Jayme was' when he decided to take her and set about plotting his crime. 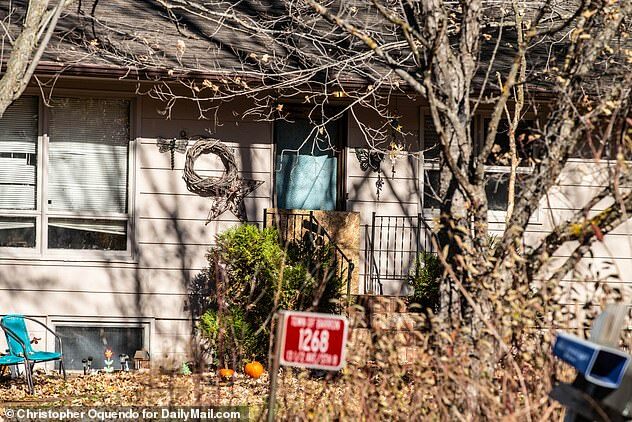 He bought a black balaclava mask from Walmart and drove to the Closs home twice with the intent to kidnap her but was deterred by cars in the driveway and lights in the house. 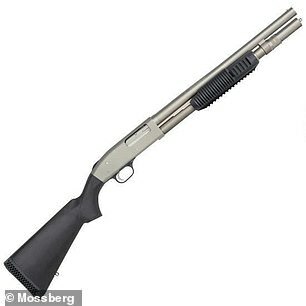 On the night of October 15, he finally followed through and stole his father's 12 gauge Mossberg shotgun - chosen because it was so common and would be hard to trace. As well as the balaclava, he wore two pairs of gloves. He shut off his headlights and coasted to the end of the driveway. As he approached under cover of darkness Patterson saw Jayme's father, James, standing in the large window. 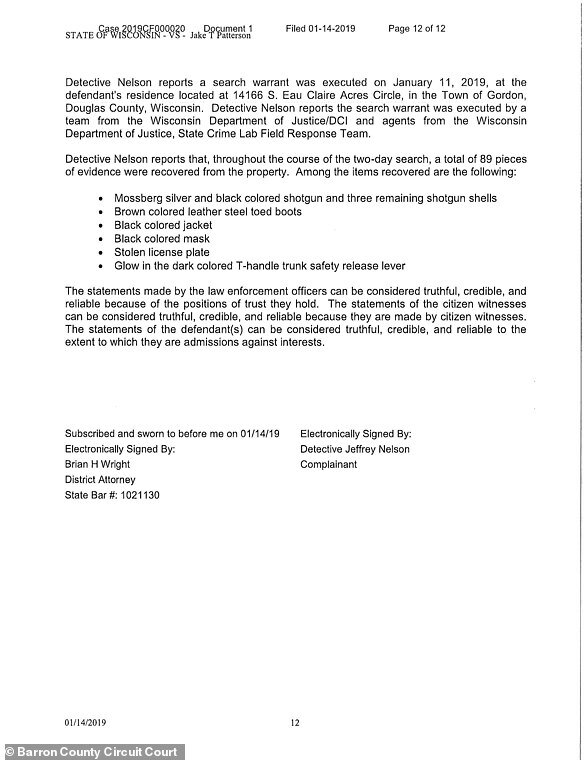 Jayme told detectives that she had been woken by her dog Molly barking and noticed somebody coming up the driveway when she went to investigate. As James Closs peered through the decorative glass window, he asked to see Patterson's badge - assuming that he was law enforcement. In that moment, Patterson said, he raised his shotgun, pointed it at James Closs' head and pulled the trigger. He tried to shoulder open the door behind which James Closs had collapsed but when he couldn't he lowered his shotgun and blasted the doorknob. 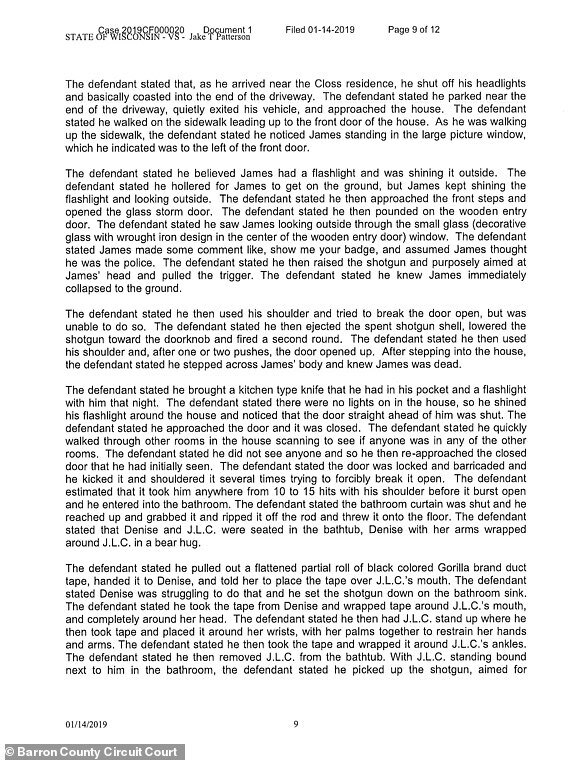 Once in, he stepped over James Closs' lifeless body and headed to the closed door directly in front of him. He quickly scanned other rooms checking for anybody else. 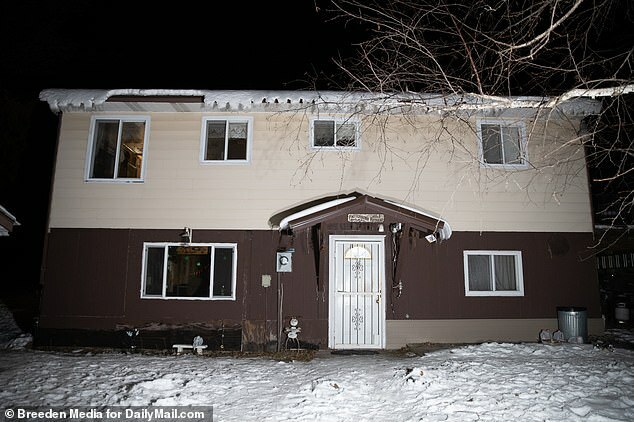 Patterson told Denise to place black duct tape over her daughter's mouth but when she 'struggled to do that' he put down his shotgun, took back the tape and wrapped it around Jayme's mouth and head. 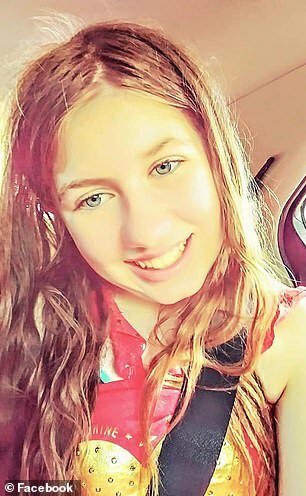 Patterson then taped her ankles, removed her from the tub and, as she stood beside him, he took aim at her mother's head and pulled the trigger. 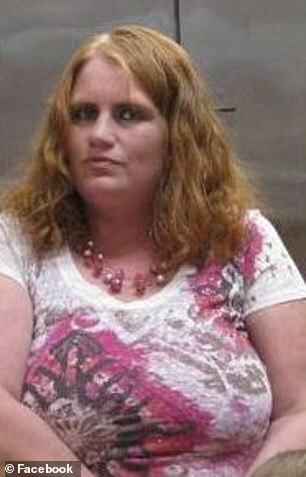 Chillingly, after he had dragged Jayme to his car, he bundled her into his car's trunk and made his getaway. 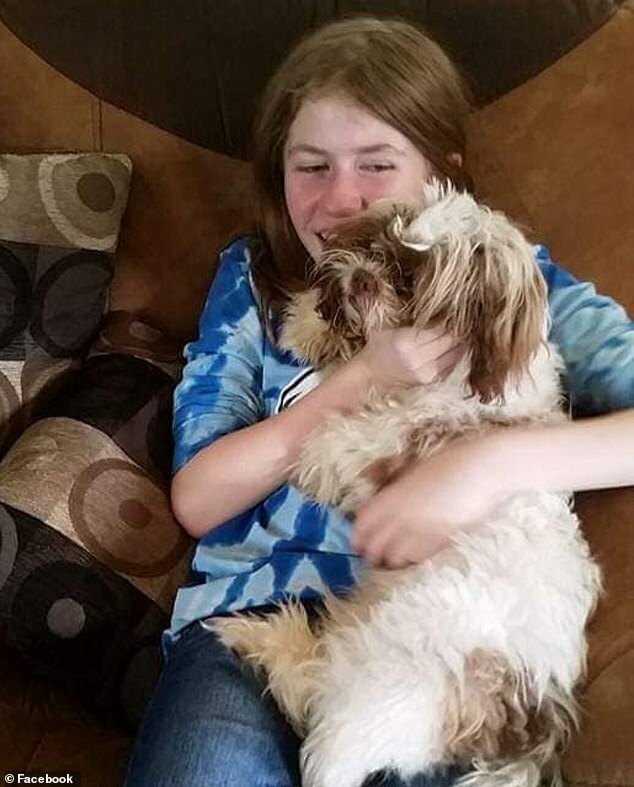 He described Jayme as 'scared and crying' when he finally let her out of the trunk. She had urinated herself and so he told her to change into a pair of his sister's pajamas. He then kept her in a space under his bed which is twin-sized and sits approximately 2 1/2 feet off the ground. 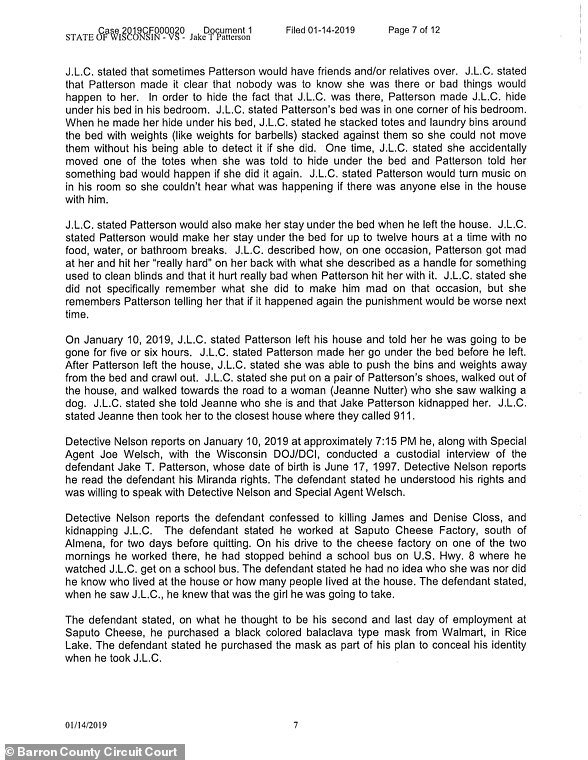 According to Patterson she did not leave because he had scared her enough with his outburst to the point where she complied. 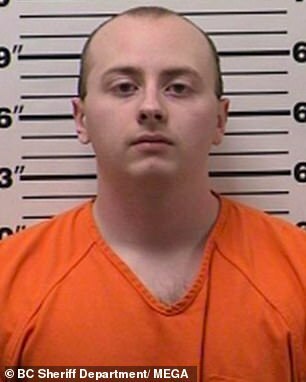 Patterson said he left her alone for 12 hours at Christmas while he visited his grandparents in Superior and when his father visited, he simply turned up the radio to mask any sound she might make. 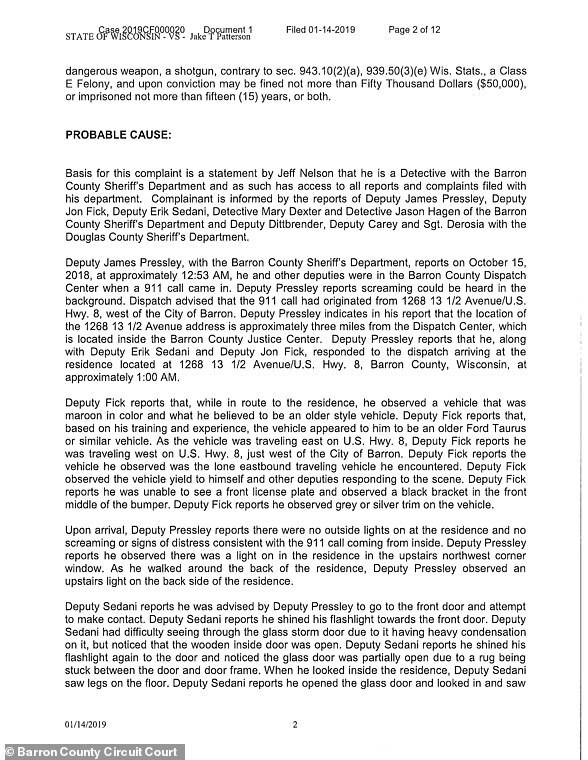 On the day of her escape and his arrest Patterson had told Jayme he was leaving for a few hours. 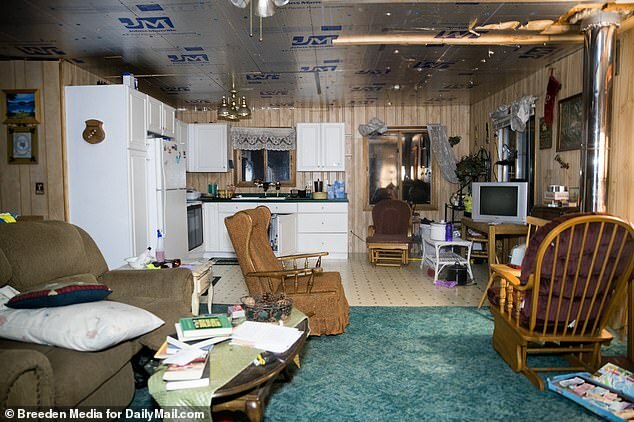 When he got home he discovered she was not under the bed and began a frantic search for her. He denied having ever met Jayme either in real life or online and that he only learned her name after the abduction. 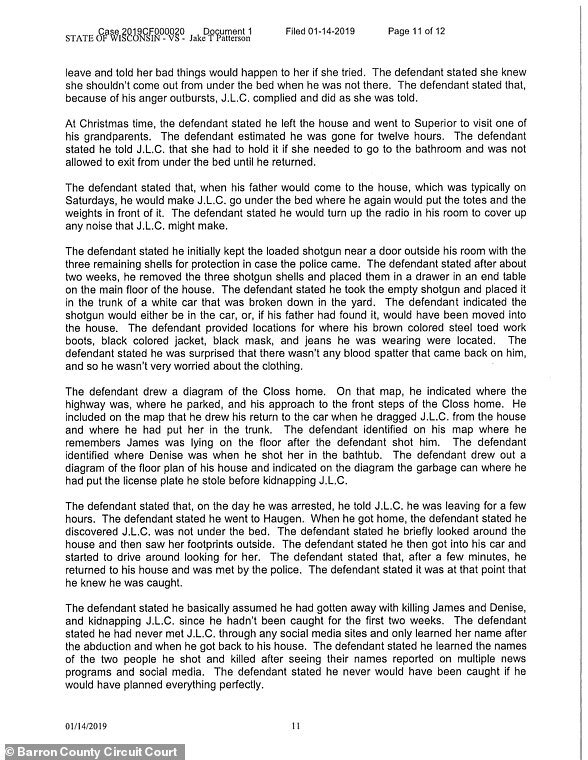 He claimed he learned her parents' names when he saw the reports of their killings. 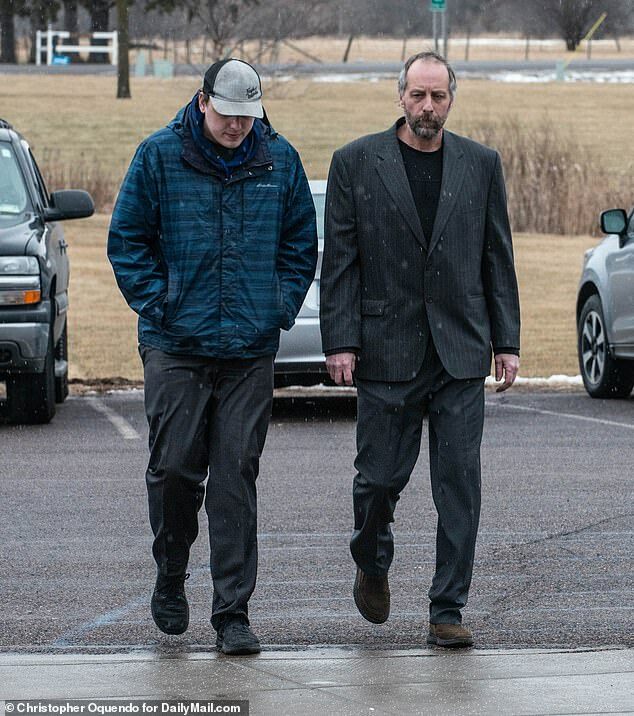 Patterson's father wept openly, as the charges against his son were read out in court today and bail set at $5 million. Patterson was not present but appeared via videolink. 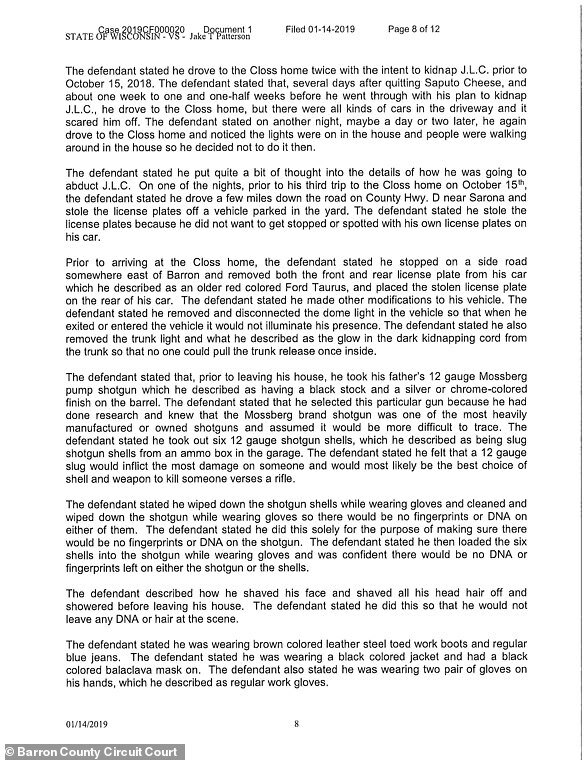 He sat impassive, dressed in orange prison jumpsuit as the charges were read. His father's shoulders rocked with tears at the sight of him. 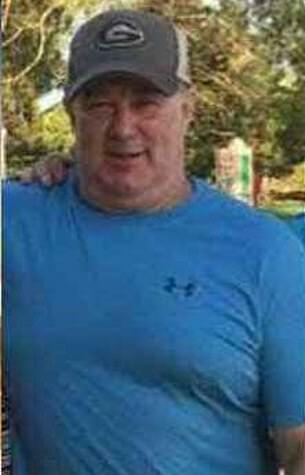 As the first charge was read - that of intentional homicide - Patterson's father, Patrick, let out an anguished wail. In contrast, his youngest son sat impervious. He looked down, following the wording of the complaint as the judge read aloud. 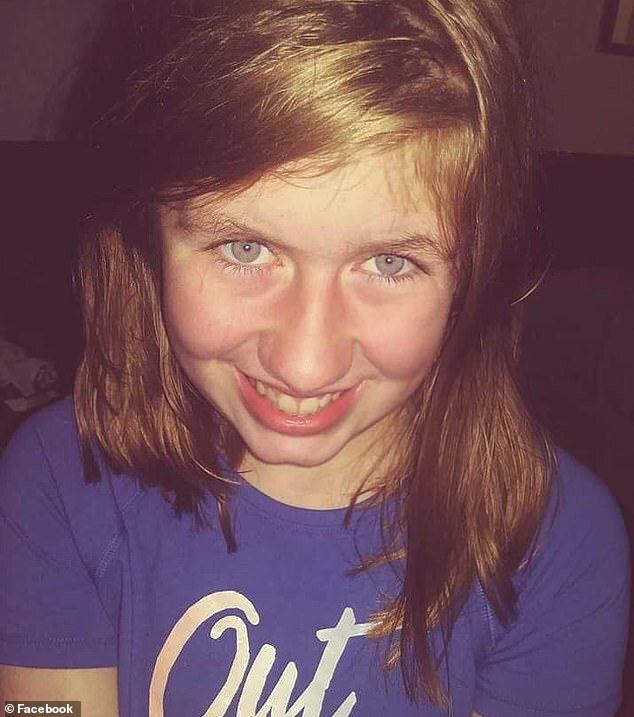 Honorable James Babler ordered the collection of a DNA sample if one had not already been provided and set the date for Patterson's next appearance as 11am February 6. Patterson's brother, Erik, and father, Patrick, were the only family present for him in court. They refused to answer questions following the hearing. 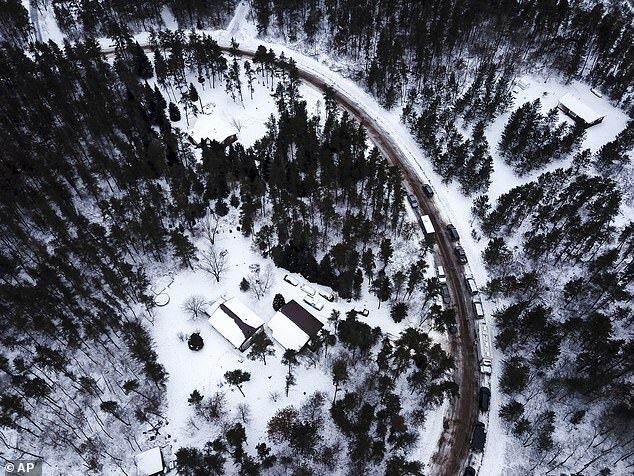 Patrick shook his head when asked if he knew what had happened at the cabin or witnessed anything strange. Patterson turned to his right during the brief proceedings - to the bench across the aisle that housed Jayme, Denise and James's family members. Erik wore a blue and black hooded jacket and sat hunched forward. His father, seated next to him, was dressed in a grey pin stripe suit. He took his glasses from his nose as he sat down and held them in his hands. He fretted with them briefly.